We are delighted to announce that four-time Academy Award nominee and Austin native Ethan Hawke will be joining us Tuesday, November 24th at 7pm! 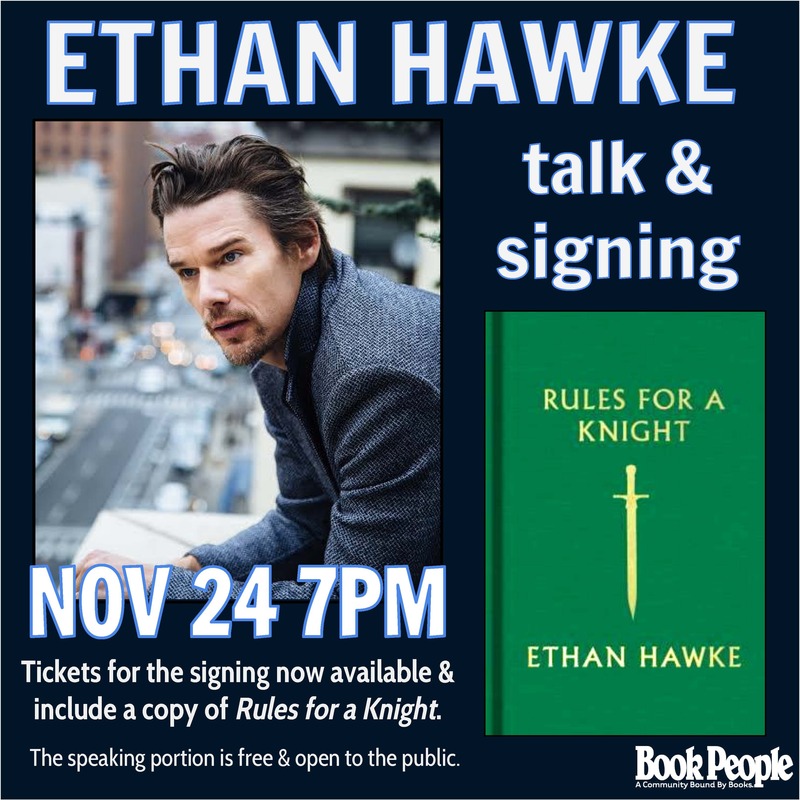 He will speak about and sign his new book, Rules for a Knight. Rules for a Knight tells of a Cornish knight writing a letter to his children before setting off toward a battle from which he fears he may never return. With parallels to his own life and his relationship with his children, this book imparts a code of ethics; an intimate record of a lifelong quest; a careful recounting of a knight’s hardest won lessons, deepest aspirations, and most richly instructive failures; and a relic of a father’s unconditional love. The speaking portion of this event is free & open to the public. Tickets are required for the signing and include a copy of Rules for a Knight. Next Post Viva la Webolution!